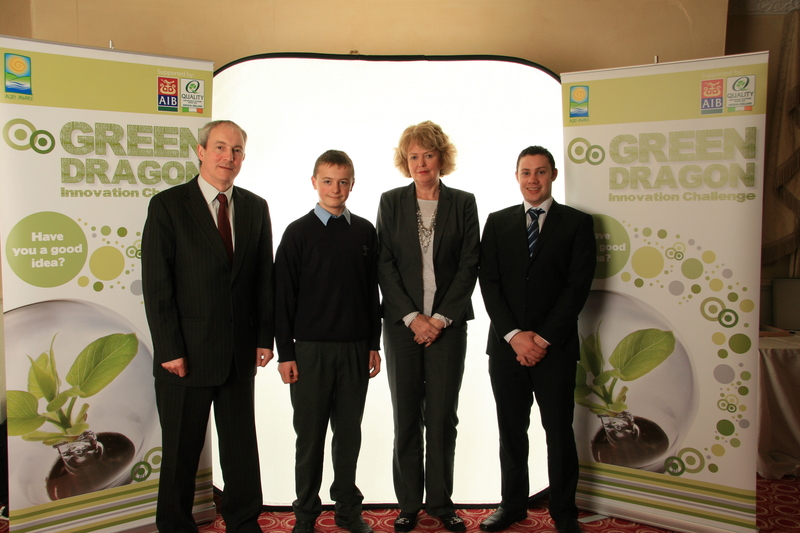 Photos from the Regional Heats of this year’s Green Dragon Innovation Challenge. Best of luck to the Envirobriq team in the National Final in Dublin on March 26th. 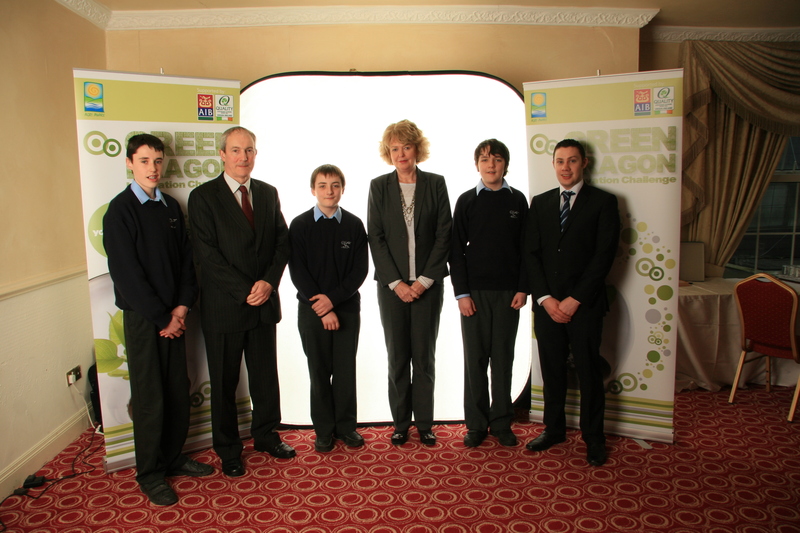 Seven students in Second Year Business Studies entered this year’s Green Dragon Innovation Challenge. This is an enterprise competition run by Agri Aware and sponsored by An Bord Bia and AIB to encourage students to come up with innovative products in the agricultural, environmental or food sectors. Two teams and one individual entered this year’s challenge. The Revival team (John Armstrong, Daniel Foy and Michael Loftus) completed a project on the growing of sugar beet in Ireland and developing an Irish sugar product for consumers. 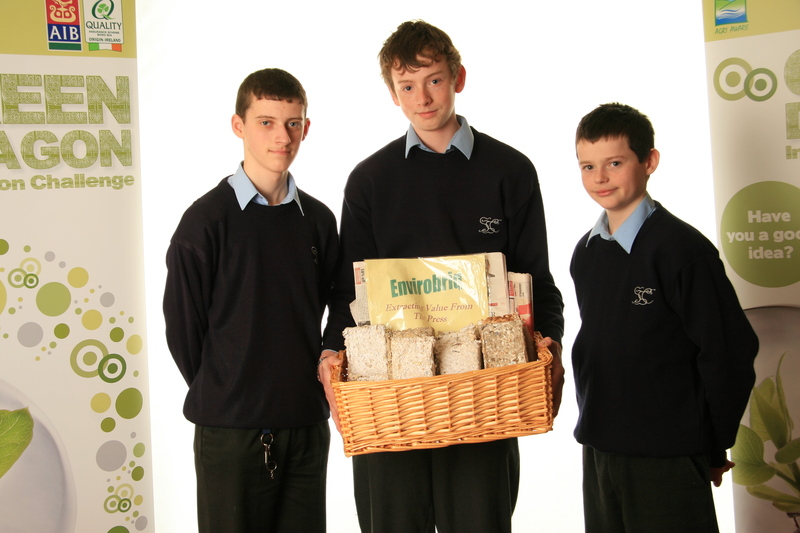 The Envirobriq team (James Gallagher, Ronan Roache and Conor Quinn) developed a briquette produced from waste paper and Karl Benson’s project involved a developing a website on health, fitness and nutrition for young people – 4 Youth Health. The students worked very hard on their projects and made a presentation to a panel of three judges in the Connaught/Ulster Regional Heats in Sligo on March 2nd. The judges were very impressed with their innovative ideas and the standard of their presentations. The Envirobriq team are now through to the National Final to be held in Croke Park on Saturday March 26th. Team Revival and Karl are going to continue working on their products. Well done to all. Photos from the Regional Heats will be uploaded once they are available.